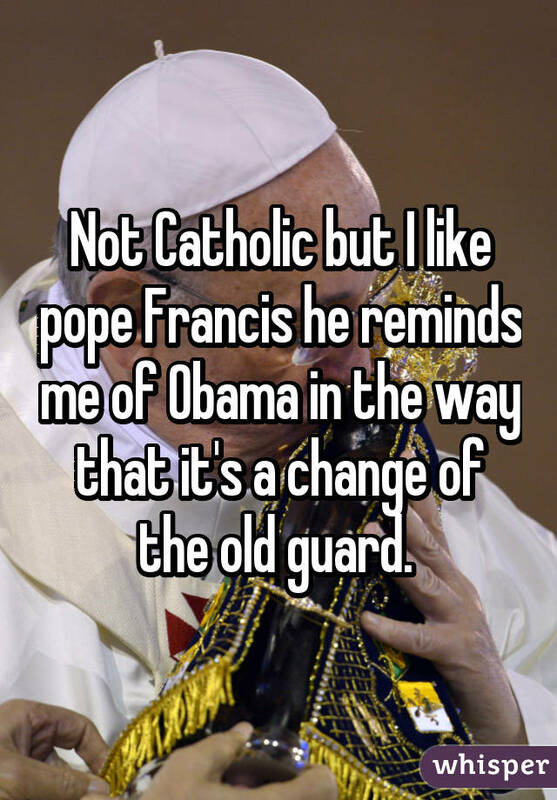 On Tuesday afternoon, Pope Francis will be greeted by President Obama at a military base just outside Washington, D.C. 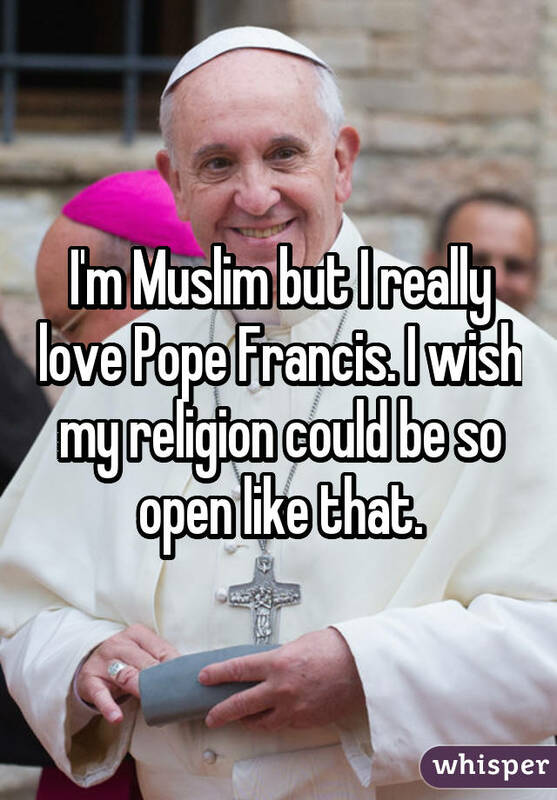 This is Pope Francis' first visit to the United States, and it's Obama's first time personally welcoming a foreign visitor upon arrival. 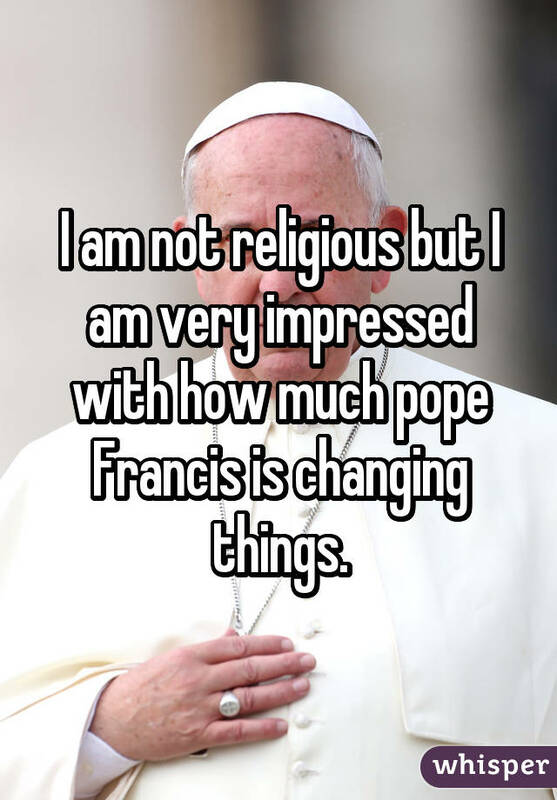 The gesture comes as no surprise, though, as Obama considers Pope Francis a valuable ally, especially after Francis spoke out on issues including immigration, criminal justice reform and economic inequality. 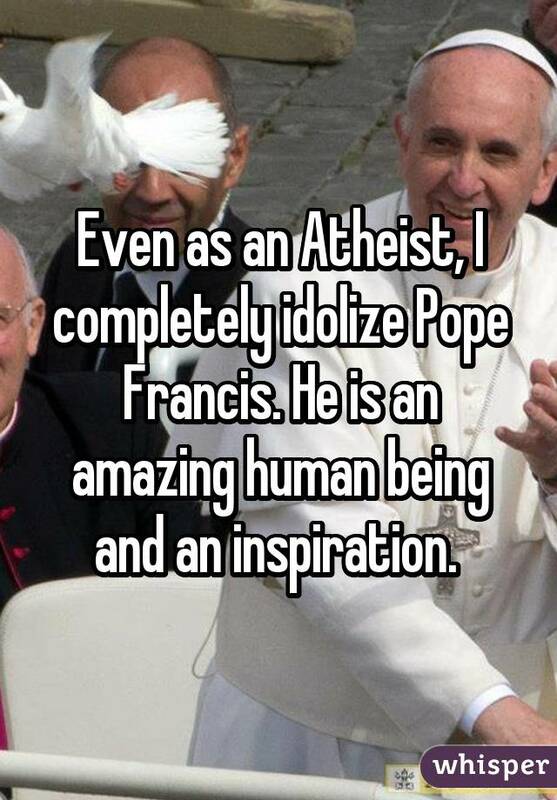 In fact, Obama isn't the only fan Pope Francis has won over. 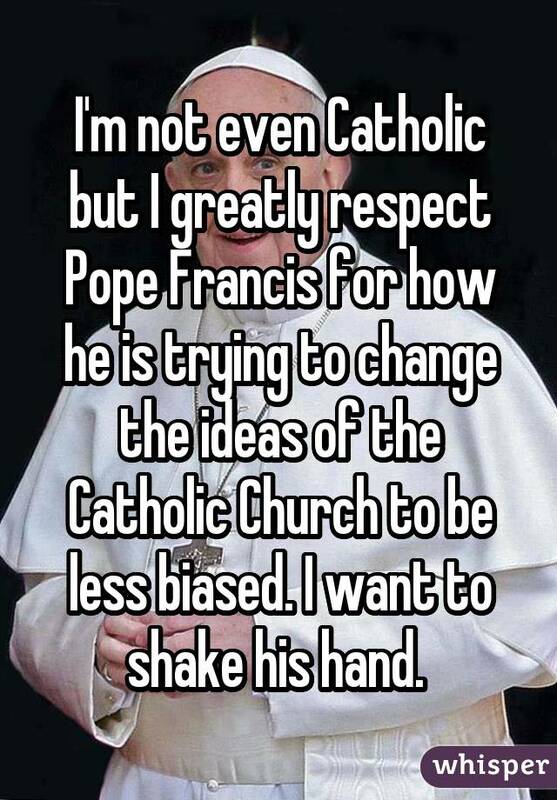 Several non-Catholic and non-religious people took to Whisper, the popular app that provides an anonymous platform for people to share their most honest thoughts, to share why they support Pope Francis. 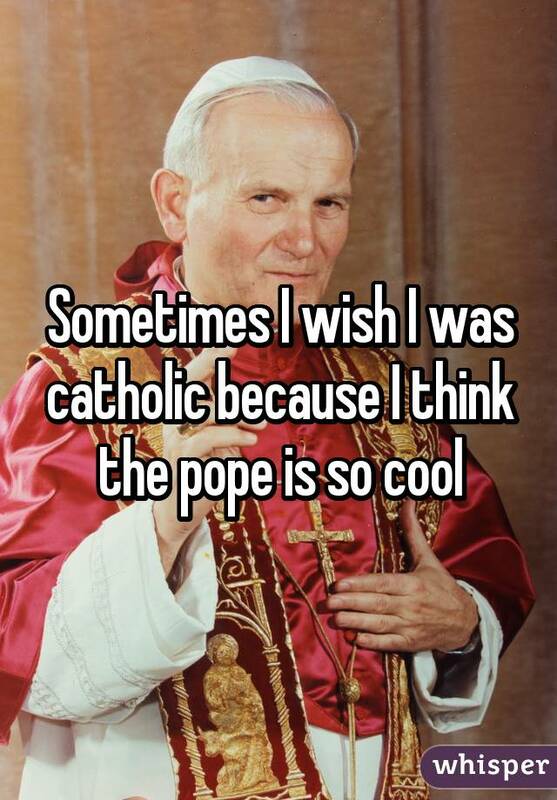 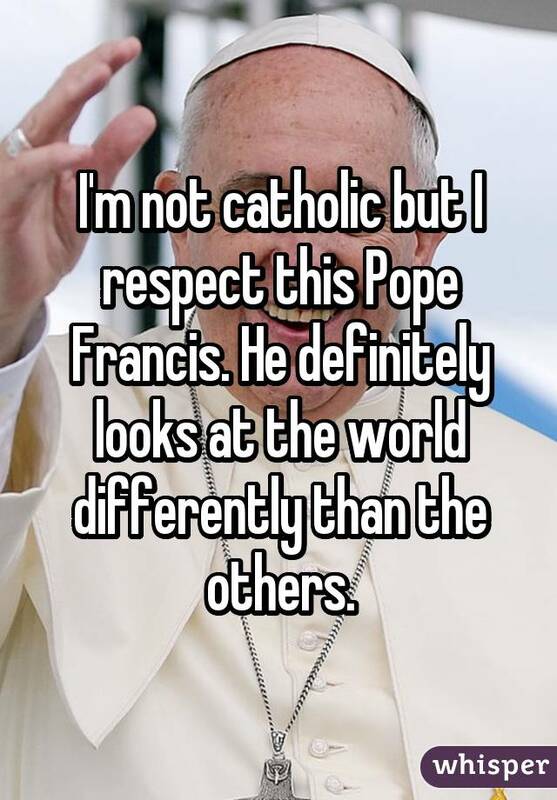 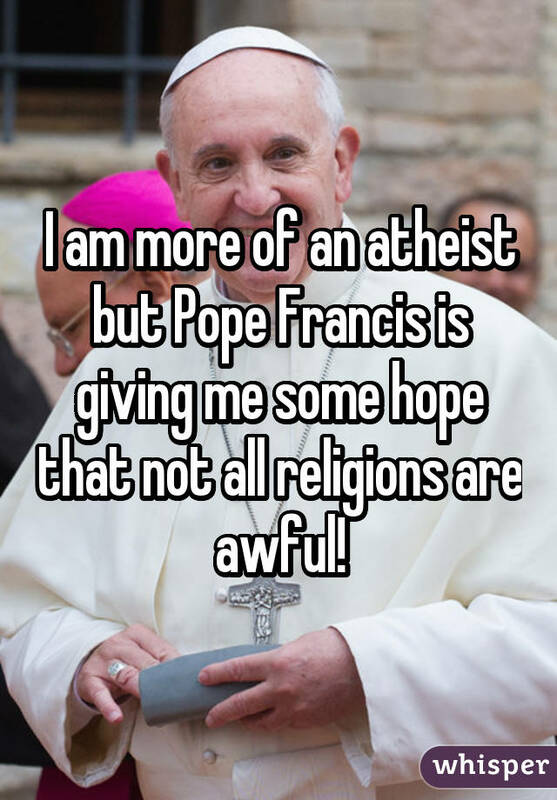 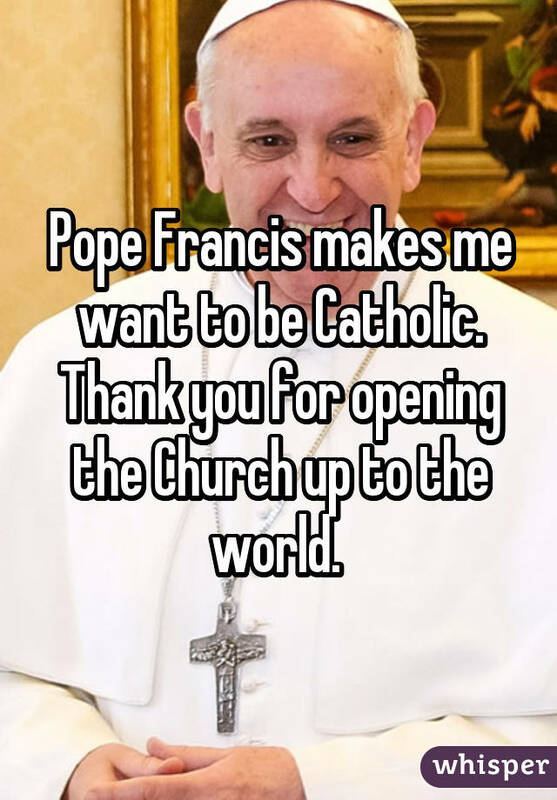 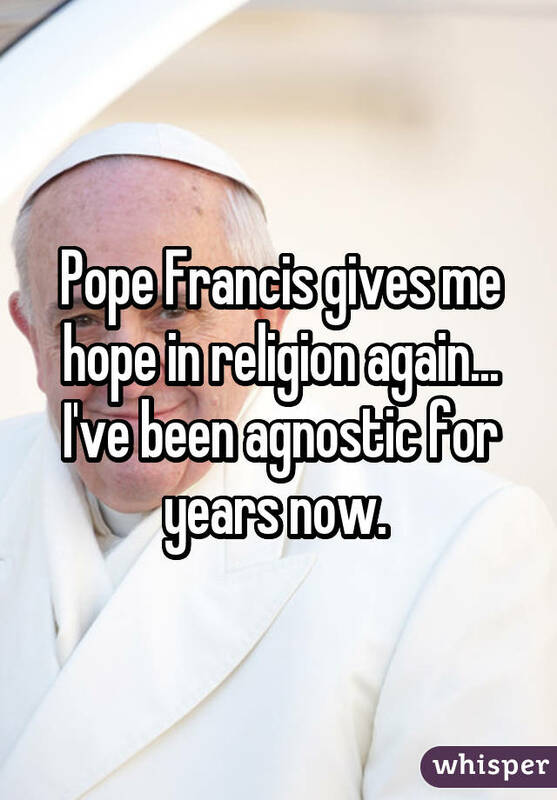 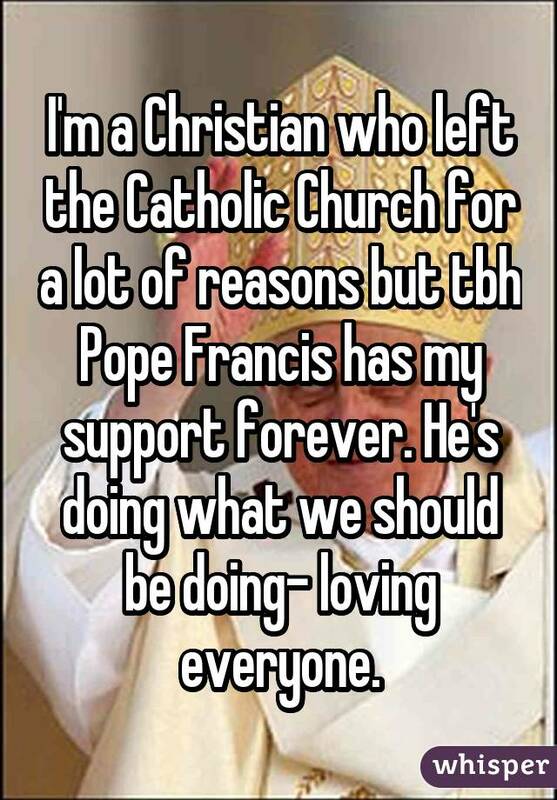 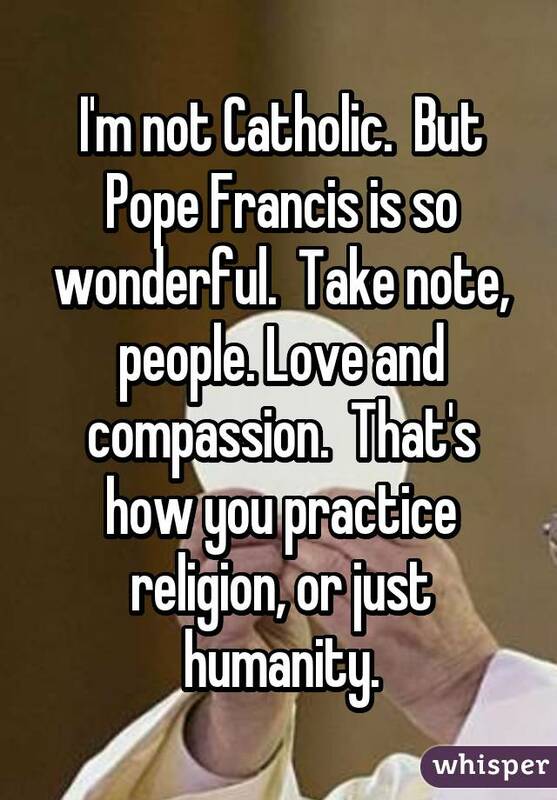 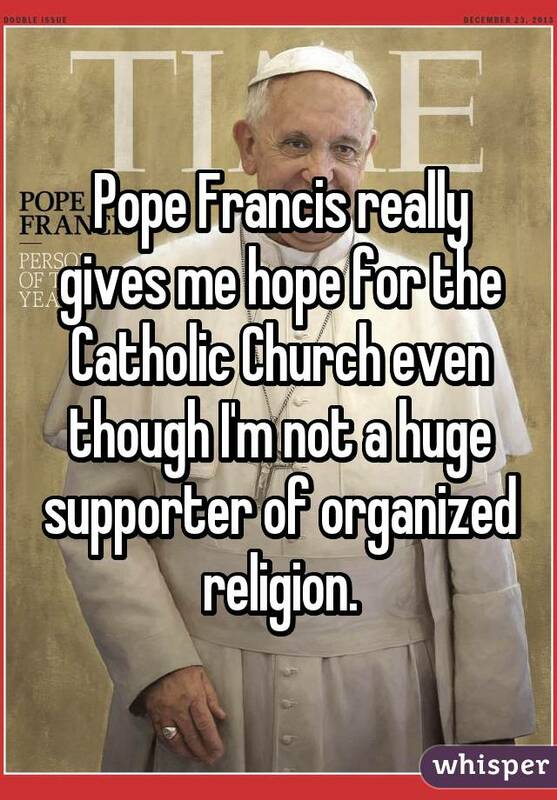 For more confessions about Pope Francis, ​check out Whisper. 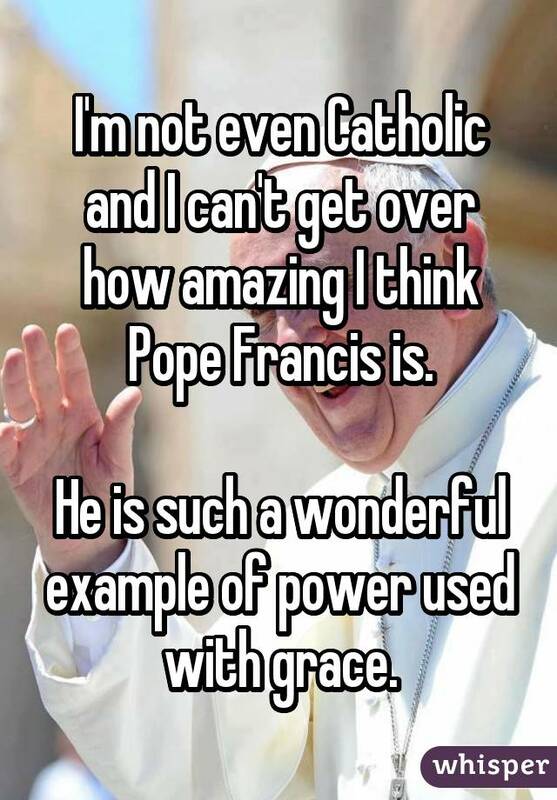 Read more special coverage on Pope Francis' visit to the U.S.